Scania has announced that 2018 was a year of continued growth and a number of records in many areas globally, while it also role out what it describes as the biggest industrial transition in the company’s history. The company also signalled that from the 2018 financial year, the presentation of its income statement has been adjusted to align with its parent Volkswagen Group’s including comparative periods. Scania’s president and CEO, Henrik Henriksson, who was recently in Australia made the results annoucement. “2018 was a year of continued growth and of records in many areas, while we carried out the biggest industrial transition in the company’s history,” said Mr Henriksson. “Deliveries of trucks, buses and coaches, as well as engines reached all-time high levels, and so did service volume while Scania’s net sales increased 11 per cent compared to the previous year,” he added. 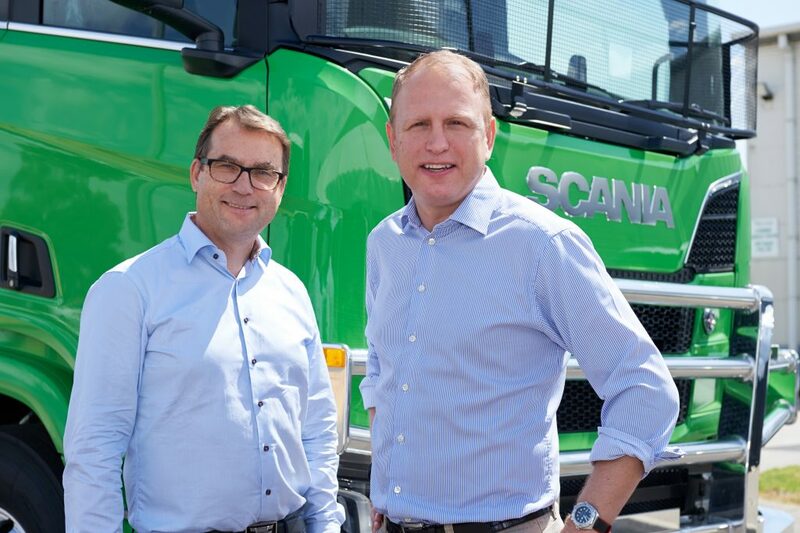 Henrikson said that with the changeover of production in Latin America during the first quarter of 2019, the company completed the global transition to Scania’s new truck generation. “This final stage of the changeover will lead to some limitations in the flexibility and capacity of our global production system. There is still a higher than normal cost situation in general for products and production related to the new truck generation. Measures to normalise cost levels have been introduced,” he said. With continued high capacity utilisation of our customers’ installed truck fleets and Scania’s continually improving service offering, which is built on data from more than 360,000 connected vehicles, our service business is continuing to grow,” he added. “Service revenue increased by 12 per cent in 2018 to a record high $AUD 405 million (SEK 26.6 billion) and Financial Services reported operating income at the all-time high level of $AUD 219 million (SEK 1,440 million). Henrikson’s report also served to highlight the company’s supply issues through the year with its order bookings for trucks falling by 12 per cent last year compared to the high level during 2017. “Demand in Europe remains at a good level, with a high level of customer activity, while in Latin America, Brazil’s recovery is progressing”, he said. “In Asia, order bookings fell due to falls in. the Middle East while Demand in Eurasia remains strong, even though order bookings decreased somewhat in Russia towards year-end,” he said. Henrikson also said buses and coaches were also negatively affected by a lower order intake in the Middle East but overall order bookings were in line with last year.